You like to think you know your drivers well. These are people you see at work constantly, people you took the time to carefully evaluate when you decided to hire them in the first place. Surely you can trust them to not commit fraud, right? Well, we don’t mean to be cynical, but you can never truly 100% know someone. People are complicated. Sometimes, they surprise you. Even drivers who seem hard-working and honest may end up ripping you off. 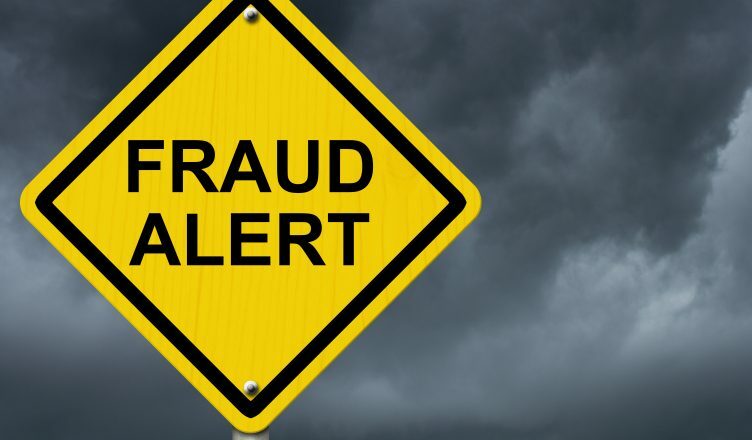 According to CBS News, employee fraud costs US businesses an average 5% loss of annual revenue. Also, one Statistic Brain study shows that 37.5% of employees have stolen at least twice from their employers, and of all business bankruptcies, 33% are caused by employee theft. What can you do to prevent your drivers from engaging in such behavior? According to one Forbes report, payroll fraud occurs in 27% of all businesses, and these incidents happen nearly twice as much in small businesses than large ones. Let’s say your employees are contracted to work for eight hours a day. How do you know they’re really working eight hours? This isn’t an office setting – drivers are out of your sight most of the time, so there’s a lot of opportunity for them to slack off. They might be taking several long, unsanctioned breaks throughout the day, logging eight hours of work but actually working much less than that. With our GPS tracking software, though, you’ll know where your drivers are at all times. That means that if a driver veers off their route and takes a 2-hour nap in a Wendy’s parking lot, you’ll know about it. The geofencing feature, which automatically records every delivery as it happens, grants you even more awareness. Why depend on your drivers to be honest with you about their work habits? They’re obviously biased in this situation… by tracking your driver’s movements in real-time, you have perfect, unfiltered knowledge of what your drivers do. There’s little room for billing fraud in that set-up. Watch out for drivers that willfully violate your terms by simultaneously working for another company while they work for you in order to line their pockets with a little extra dough. In fact, to really enhance their earnings, they might actually be making deliveries for someone else while they’re on the clock for your company. This kind of fraud is pretty easy to detect when you have GPS tracking. You’ll be able to see if someone is going out of their way to run another route, and it’ll be especially obvious if you see them stopping by one of your competitor’s warehouses. Once drivers are out of your sight, they might waste paid work hours by going to shops, visiting friends, napping, etc. This is a waste of payroll dollars, and it also hurts your reputation, as packages will be delayed and customers will get pissed. But when you ask your drivers about these delays, they blame it on traffic. They blame it on construction. If you’re not tracking them, how can you know whether they’re telling the truth or not? Let our software be your polygraph. Every single customer complaint makes it harder to succeed as a business. If a customer doesn’t get their package, there’s a good chance they’re going to leave a complaint. And this is the Internet age, so we’re talking about a public complaint here, something posted online for everyone to see. What do you do if a customer says they never got their package, but your driver claims that they did indeed drop it off? The customer might be lying, hoping that they can get some reimbursement that they don’t deserve. The driver might be lying, having taken the package for themselves to sell or keep. If you don’t know what happened, there’s no way to know how to move forward. Our route optimization software comes with an eSignature feature that customers can use to instantly confirm they received their package. This will help you verify that deliveries were actually made and root out instances of product theft. The more satisfied an employee is with their job, the less likely they are to commit theft or fraud. Driving for a living can be an especially frustrating job, especially when you’re stuck in traffic or lost. 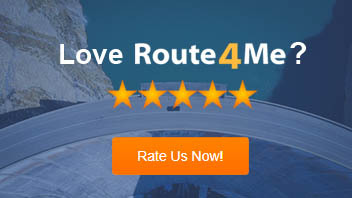 Route4Me’s software keeps drivers from getting lost, and our routes always account for the latest construction and other such delays. It’ll make your drivers nearly as happy as it does your customers. Fleet fuel cards are the easiest way for drivers to steal from your company. For example, you might see two drivers covering almost the exact same route, but with different fuel expense billing. If you see this, it’s probable that one of the drivers is billing extra fuel for their personal use. If the total fuel dispensed ever seems high for the routes driven, that’s another red flag. A common method of avoiding this issue is to have an odometer reading with a truck number at the pump. This dissuades drivers from using the fuel card to fill up their personal vehicles. But you don’t need to use such methods when you have fleet routing software. It automatically tracks the fuel expenses of each driver and route so you can easily see whether a driver is making fraudulent fuel card billing. How do you protect your business from driver fraud? Let us know in the comments section below.